There are 3,418 public libraries in Canada (1,129 in Ontario) and in the last ten years their resources and services have significantly changed as society has changed. The challenge 21st century public libraries face is to be the kind of place that responds quickly to the information and reading needs of the community, giving people the opportunity to live fuller lives, make informed decisions and discover new worlds along the way. It’s not your grandma’s library anymore and it’s no longer simply a repository for books. Libraries along with society have evolved, providing an increasing range of resources and services and reaching out to serve a much more diverse audience. Ironically, it has been the rise of information and communications technology that has given public libraries a new life, with new technologies, online resources and community engagement. The 21st century public library is well-positioned to build a healthy, resilient, and sustainable community. Traditionally recognized for books and story hours, the digital era has brought public libraries profound challenges and golden opportunities to respond to new technologies while supporting equitable access to information. Public libraries are embracing new technologies and formats but also transforming into community and cultural hubs. The 21st century public library is also experimenting with providing the next generation of “expensive and scarce” resources from 3-D printers to recording studios, creating maker and presentation spaces. For centuries, the capacity to read was the hallmark of the clergy, the wealthy or the learned. However, with the invention of the printing press, the computer and then the Internet, reading has become the most common recreational activity in the world. As technology expands, new types of reading opportunities have changed how and what we read. The Pew Research Centre has conducted significant research in this area and even though they concentrate on American trends and data their research is reflective of Canadian reading patterns and library usage. 1. 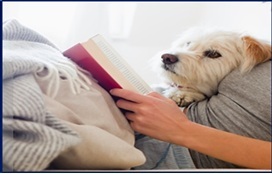 Book readers: 78% said they have read a book in the past 12 months. Although 28% of adults are reading eBooks, few have abandoned print entirely, just 4% read eBooks exclusively. For libraries this means the “death” of the book is a long way off, if at all. 2. Purposes for reading: 82% of suburbanites read for pleasure, compared with 79% of urban residents and 76% of rural residents. 3. Book recommendations: Family and friends are the primary source of book recommendations, followed by librarians and library websites. 4. Newspaper readers: 58% of Americans regularly read newspapers and 56% of urban dwellers read newspapers on a handheld device. 5. Magazine readers: 50% of Americans regularly read magazines with 34% reading magazines on a handheld device. 6. eBooks vs. print books: 14% of readers have read an eBook and a printed book in the past year. Generally, readers using both formats are more likely to prefer eBooks for all reading activities except reading with a child, or sharing a book. From this data it is clear that the eBook will not replace the printed book, it is simply another option. The public library of the 21st century is not your grandma’s library and it’s no longer simply a repository for books. Libraries have evolved, providing an ever increasing range of resources and services to serve a much more diverse audience. 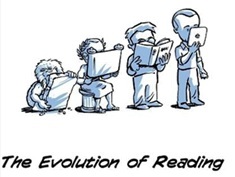 Readers have also changed; they want more choices and a variety of reading platforms depending on the situation. It has been the rise of information and communication technology, and the corresponding changes in reading patterns that have transformed Canadian public libraries.